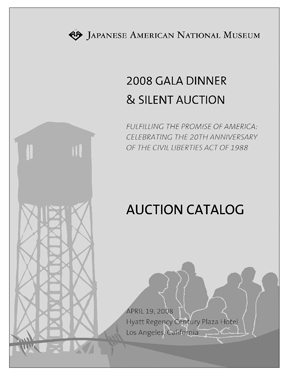 The 2008 Silent Auction Catalog is presented for your information. We have some very exciting, new packages this year. The catalog contains descriptions and opening bids for auction packages that will be available. Package contents and opening bids listed in this Catalog are subject to change. The Silent Auction will be open from 5:30 pm to approximately 6:55 pm. There will be a total of seven (7) sections: Art, Buy-It-Now, Entertainment, Luxury, Sports, Travel and Treasures. Please make certain to place your final bids prior to the closing time. If you want to win a particular item, please remain standing next to its bid sheet until the bid sheet is collected. No bids will be accepted after the Auction Monitor collects bid cards. We are offering 'pre-payment' for auction items. When you check in, you may pre-pay for your auction item(s) by providing credit card information in advance. An invoice will be delivered to your dinner table detailing your purchase. Guests can take that invoice directly to the California Showroom to pickup auction items, bypassing the cashier line. 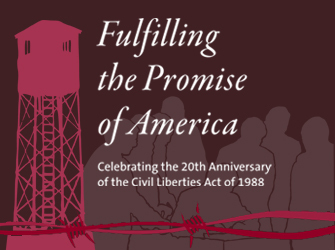 We look forward to seeing you at the 2008 Annual Gala Dinner and Silent Auction. For more information, please contact the National Museum’s Special Events department at 213.625.0414. Special thanks to all of our generous donors who contributed to our 2008 Silent Auction.